AnyFoam specialises in the supply and distribution of high-quality foam products for a diverse range of domestic and commercial uses. 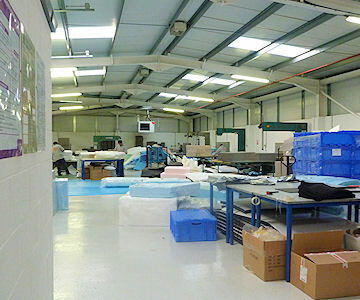 The AnyFoam managerial team possess a wealth of experience in foam conversion and fabrication, and our technical staff are among the most highly skilled professionals in the industry. 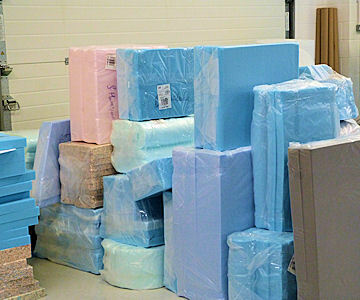 Quality: our ongoing investment in key sectors of our business and closely working with our suppliers ensures we are able to consistently deliver unsurpassed quality in all our foam products, and this commitment to quality is fully reflected in the service levels we provide to all our customers. Environment: we are deeply committed to minimising the impact our operations may have on the environment. 100% of waste material is recycled into reconstituted foam.